When hunting of the turkey is over, you often need to decide that how it should be displayed in your house. We have many choices here, but the first thing to be considered is the quality of your turkey specimen. If some part of the bird’s body has been badly damaged during hunting, you will try to hide this problem by choosing a certain pose that would help lessen it. But it is best that this taxidermy should be done by the professionals. They are truly well-trained and expert at what they are doing but mounting a turkey’s spurs, or feathers are quite easy and can be done easily at home. But it should be kept in mind that the quality of a finished turkey mount often starts in the field, e.g., a bird mount facing you fully in the face will appear to be a much bigger target, but there’s a great likelihood that its meat has been damaged. Therefore we must wait for the bird to strike a natural pose before we shoot it. One of the many online shops that are famous for making quality turkey mounts is Stump Jumper Designs. StumpJumperDesigns.com offers their clients a variety of unique mounting plaques as well as beautiful techniques of displaying the most sought after and majestic game-birds. Most of the turkey plaques and mounts designed at the Stump Jumper’s are designed to display the turkey’s fan, beard and spurs. As turkey hunting and woodworking is the passion of the owner of this shop, thus we see some very unique and innovative designs here. The name of the shop’s owner is Tim, but he has named this shop after his father who got this nickname Stump Jumper’ during his world war days. He got this name from his war buddies when jumping over a tree stump he broke his ankle. Tim got this love for woodworking from his father, and now he is passing on this passion to the next generation, his children. Tim’s passion and interests for turkey hunting and woodworking has become an obsession. When it’s not turkey season, and there’s no turkey hunting at that time, Tim can be seen busily working in his workshop. He is busy working to create high-quality display mounts and plaques. For this, he selects the finest wood, and each piece is hand-made with the choice of the footprint that the customer asks for. Different types of high-quality wood are used, and sometimes the wood used is according to the customer’s demand. After this, the finishing touch is given to the wood with oil-urethane which gives out the best of the wood grain. Here the customer is given a choice to select the turkey foot-print style that would go best with the wood grain. The beard, tail and fan once installed can be easily replaced once the customer needs any changes. 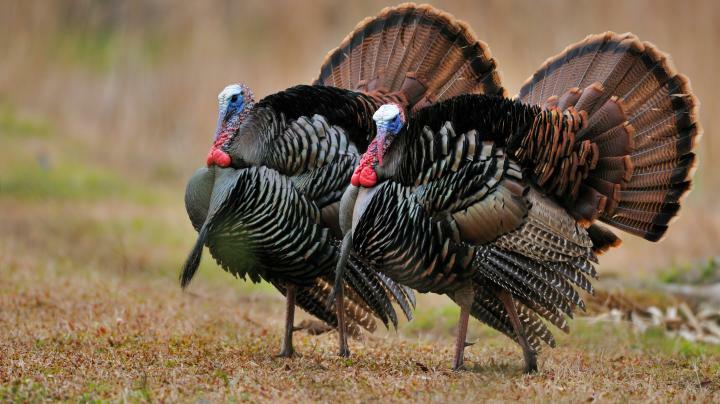 Thus the Stump Jumper Designs, in a very unique and beautiful way, displays the most sought after as well as majestic of all game birds, the wild turkey. When it comes to displaying your turkey, many options are easily available to suit different space requirements or even any kind of budget. However, the all-important decision remains where to find high-quality turkey mounts. A point of warning though: these professional taxidermists do not come cheap. Because they provide you with high-quality turkey mounts prepared with top-notch materials, their charges come within the range of $500 to $1000 for a full body turkey mount. This amount could be quite a chunk of your budget. You can take your time to browse through the offerings of different turkey taxidermists, make comparisons, and then decide the one to acquire his services based on his location, the materials he’ll use, the price of his services and the sample on display. Here is a quick Turkey Taxidermy video to give you an idea. Always remember that acquiring the services of a remote turkey taxidermist will incur extra decision making on packaging, shipment and mounting, and any extra cost that may be associated with them? Peonies do not respond quite well to transplanting and this is in fact one of the major reasons for poor development among the species. 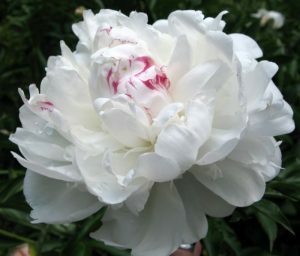 Plant your peonies in deep (1 inch) fertile soil that is rich in humus and has a neutral pH. Peonies will wither where they are frequently disturbed, touched and plucked. However, they like sunny spots and blossom when the sunlight is adequate. Choose a safe distance away from disturbance, and where they can get half a day full of sun. If you live in an area with sandy soil, enrich the planting holes with some compost manure before planting. Plant your peonies in late September or early October to establish an annual blossom around spring. They should be on their spot before the first frost hits. If the stems are too weak to support the blossoms, find 3-leg metal rings (pony) to help them out. Avoid over-mulching. Deadhead the plant once the blossoms start fading and cut the foliage down during fall to avoid withering disease. Use fertilizer sparingly and only if you live in poor soils. Peonies are some of the resistant flowers that do not need pesticides. They may be prone to Japanese beetle, ants and ring spots but these will not significantly affect the health. You can find peonies for sale from your local florist or garden center. They are often offered as root tuners bearing three or four eyes. There are different varieties to choose from including Early Scout, Firelight, Karl Rosenfield, Norma Volz and Elsa Sass. It is recommendable to buy online from credible licensed florists known for top quality flowers in your area. You are now in the final stage of wanting to sell your house. You should consider hiring a home staging company before selling as they tend to attract the buyers. They do this by making your home look stylish, as well as warm and inviting. This will increase your house selling price and make it be on demand. Research shows by staging a house, it’ll sell 80% faster with money increasing by 11% more than non-staged house. Getting to enquire and know some of the work the home staging company has done before is important. You’ll be able to have a look at how a house was before and after the transformation they staged. This will help in deciding if to hire them and also in discussing for negotiations. If they are afraid of showing you their work samples, get curious as they may not be proud of what they do. Tip provided by TXLuxuryInteriors.com – a San Antonio home staging company. Look at how courteous they are in person and even while speaking on the phone. How confident they are while providing you with information about their services and operations matters a lot. How they treat their clients should also be looked upon. As a client, are you having a hard time communicating with them and are you feeling comfortable with them. Are they warm to you and listen to your budget. If you feel you are calm and confident about them, you can go ahead and choose them as your preferable home staging company. Checking on how easily accessible they can be found also should raise a concern. How easily can they be contacted and also the period of time that it will take them to be readily available when needed in the next process. Hiring a home staging company requires you to know the steps taken to go through in a home staging. While researching on the cost, always remember that all that glitters is not gold. Don’t settle for a cheaper price as it is not always the best. Look at also the time span that will be taken to get the job done. Try and search for their reviews on the internet at places like Yelp, Google Reviews and so on. From their website if they have one or from some of the clients they’ve worked for. If it needs you to call some of their clients, do so and have your research. Go through all the reviews both good and bad if possible as this will have an influence on the decision to whether consider them or not. 7. How you found them. Before hiring a home staging company, you should also try and remember how you linked up with them. If you were referred to them by a close friend or colleague, you’ll tend to trust them more than if you searched for them on your own or they came to you themselves. In conclusion, I hope this article will help in the process of hiring a home staging company the next time you go to sell your home. With an impending shortage of gas and electricity this winter, it’s more important than ever to save as much energy as possible. Not only will reducing your energy consumption be good for the environment, but it will also be kind to your bank account. Don’t fear: reducing your energy consumption won’t mean a major lifestyle change, or that you transform overnight into an eco-warrior. It will just mean small changes in habit. This is a no-brainer; turn off all lights when not in use. Train yourself to adopt this new habit as it will save you money on your energy bill in the long run. Switching off electronic appliances instead of putting them on standby or to sleep will save a small amount of electricity, and thus a small amount of money – and every little helps. Did you know in many areas of the U.S. that you have a choice in the energy company you use? These areas are deregulated allowing for competition for supplying you electricity. So shop around and make sure you are getting the best deal possible. Also look at sites like EnergyPromoCodes.com that can help you find coupons and deals on electricity plans in some areas. When a bulb break, replacing it with a more energy-efficient one will have a positive effect on your energy bill. 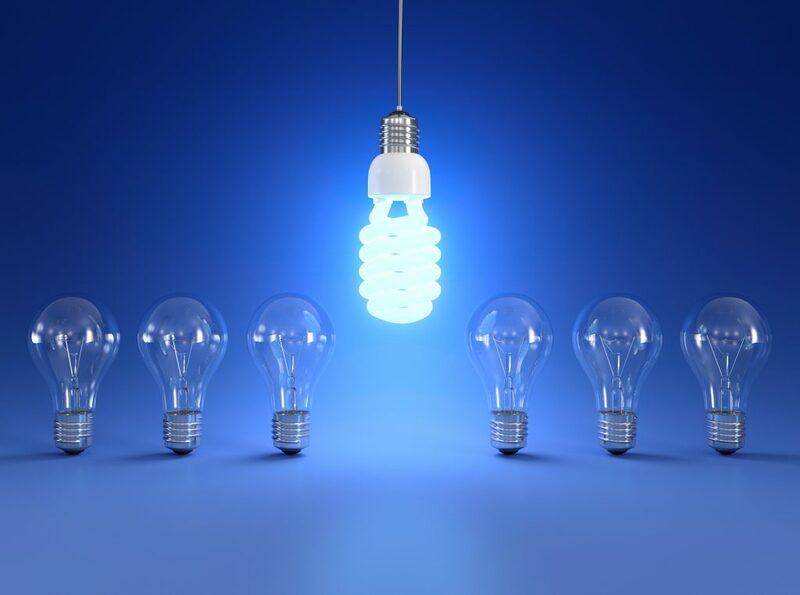 Energy efficient bulbs such as LED’s also have a longer lifespan than traditional bulbs. Monitoring the energy usage in your home will give you a better idea of how much your electricity bill will be at the end of the month. Use it to assess much-used appliances such as your phone charger, kettle, and lights. To retain as much heat in your home as possible, insulate your attic. Be sure to check whether there are any energy efficiency grants provided by the Government for home insulation beforehand. For lightly soiled clothing, towels, and bed linen, washing them on a 30-degree temperature or even a cold wash will work just as well as a standard 40-degree wash. Though it may not be possible in colder temperatures, hang your clothes out to dry or use a clothes horse to dry your clothes indoors. Don’t put clothes on the radiator – it will only block the heat and take longer to heat the room. Using the timer on your boiler during the winter will reduce the risk of forgetting to turn the heating off and will drastically cut costs. Once the house has been heated, keep the doors closed and use draft excluders if necessary to keep each room warm. There’s no point heating empty rooms. Turning off the radiators in unoccupied rooms will avoid wasted energy consumption. Observe these methods for saving money on your electrical energy bill. and you’ll most likely succeed and luxuriate in all the rewards and advantages that lowering your electricity bill have to offer you. Ignore them and the prediction is not good. It is up to you to follow them and come out forward.